A white pickup truck once owned by accused killer John Gardner has become the focus of crime scene investigators in the Amber Dubois murder case. Records obtained by News 8 show the truck was repossessed from Gardner just four days after the 14-year-old went missing. The repossession documents prove Gardner was still driving the truck when Amber Dubois vanished while walking to Escondido High School on February 13, 2009. Now, forensic investigators are combing through the truck looking for key evidence that could link Gardner to the student's death. (The photograph posted on this page is not the actual truck. It is the same color, year and model). Used car lot owner Paul Hashemi sold Gardner the white Chevy Silverado in October of 2006. "To have known or have had contact with somebody like that is just shocking," Hashemi told News 8. Hashemi owns the Value Cars dealership in National City. "We had an offsite sale at Qualcomm Stadium and he bought the vehicle there. It was a 2004 Chevy Silverado truck," Hashemi recalled. At the Qualcomm Stadium tent sale, Hashemi remembers Gardner traded in a red 2000 Chevrolet Tracker with 266,795 miles on it. The registered owner of the Tracker was Gardner's mother, Cathy Osborn. The transaction stuck in Hashemi's mind because the mileage was extraordinarily high for a 2000 Tracker. Gardner purchased the white Silverado on October 15, 2006 with 34,918 miles on it. 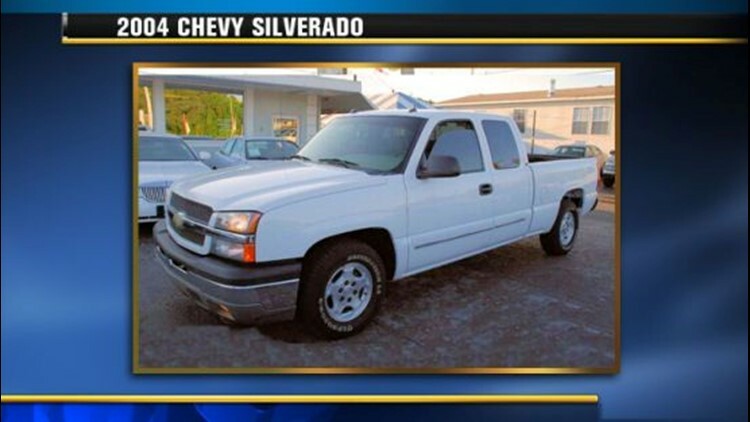 Hashemi showed News 8 paperwork showing the Silverado was repossessed from Gardner. "Evidently he did not make payments," Hashemi said. "They repossessed the vehicle on February 17, 2009." When it was repossessed, the Silverado had 115, 695 miles on it, according to records provided by Hashemi. That means Gardner put 80,777 miles on the Silverado over the course of 28 months, which averages out to about 35,000 miles per year. The Automobile Club cites an average of 15,000 miles per year as typical of most drivers in the United States. After it was repossessed, the Silverado was eventually resold to an immigrant living in Los Angeles. FBI agents seized the vehicle on March 10, 2010, telling the new owner they needed to check out the truck for DNA. "It is very likely (Amber Dubois) was in a vehicle, potentially that vehicle at some time," forensic DNA expert Suzanna Ryan told New 8. Ryan believes if Amber was in that truck, investigators will find something: blood, hair, or perhaps bodily fluids. "Even if the surface area of the vehicle was cleaned, it's possible a mixture of DNA from both individuals could have sunk deeper into the fabric," Ryan said. If clothing was found at the spot where Amber's skeletal remains were discovered on March 6 in Pala, investigators will try to match those clothing fibers, too. "So if we have clothing evidence from the victim, we can match that back to fiber evidence that still might be in that vehicle," Ryan said. DNA evidence aside, the man who sold John Gardner that white Chevy pickup just can't stop thinking about the two girls who lost their lives. "As a parent it's just a sickening feeling. My deepest condolences go to both families," Hashemi told News 8. At the time the pickup was repossessed, it was missing one outside mirror and also had damage to the tailgate. If you think you may have seen John Gardner driving that white pickup truck near Escondido High School, police would like to hear from you.